Hello, Gorgeous! : a touch of meow. I've brought this up before. I was never a big animal print fan, until one fateful day when I realized how crazy that was! Well, that's not exactly how it happened. I think I bought a leopard print belt (below) and then it was all downhill from there-- leopard everything! My favorite thing to do is incorporate touches of animal prints in an otherwise simple outfit. It catches the eye and is great start for dabbling in prints. Loving that belt, I have a similar one! Thanks for the idea on what to pair it up with! I went bold (well for me anyways) and got animal print flats. Love them! Animal prints just go with everything. It's always fun to add a little animal into everything. I love how you did it with the scarf and belt. Just perfect! oh i love both looks but i think the first is my absolute favorite! I've never been a big animal print girl either but I have my eye on these leopard flats from Target, cute outfit! I had the exact same relationship with animal print. I bought one accent piece, and suddenly it was everywhere! 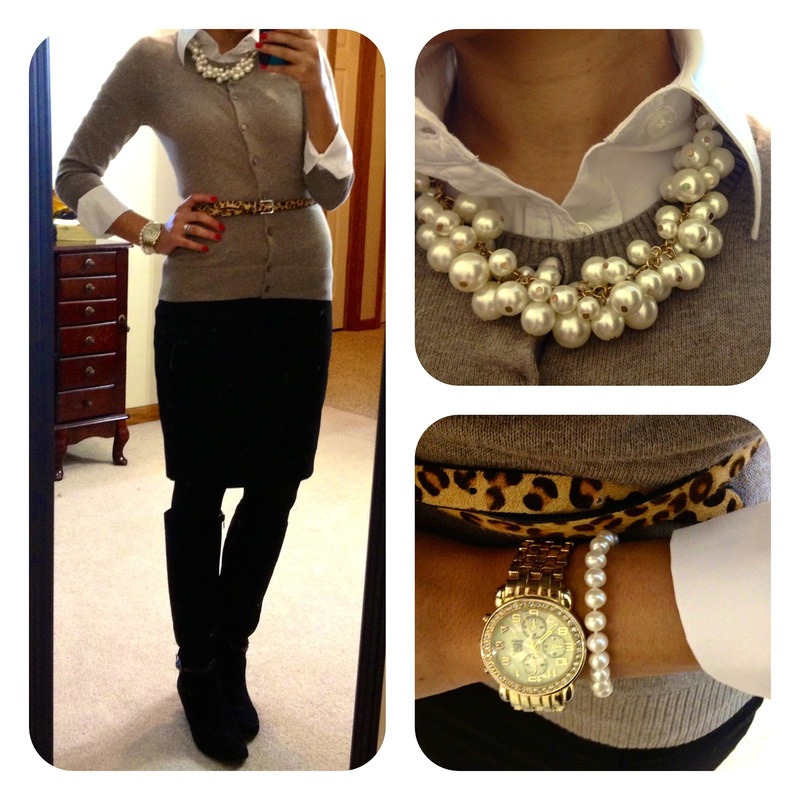 I love that pearl necklace! And I was the same way with animal print. 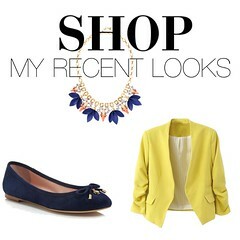 I think it's such an easy way to make a plain outfit exciting! I LOVE your blog! You have such a classic sense of style. And that leopard belt is definitely the perfect finishing touch. I love the leopard belt! You have the cutest clothes. I just started following your blog and I love it! !